Traveling on a long range basis doesn’t mean you’ll always have to go through cramped airports and connecting flights. By chartering for an A340-300, you’ll only need to hop in, relax and get to your destination within just one flight. If you’re coming from Toronto, Canada, this jet can fly you to Mumbai, India, Tokyo, Japan, Fiji islands or even farther. With its fast speeds and complete facilities, you can equally have a relaxing, entertaining and productive trip. A customized A340-300 can get luxurious depending on what the operator has initially laid out. For instance, its interiors may include an entertainment room with flat screen television and surround sound, a meeting area plus workstation, a bedroom and more. To make the most of your travel, it’s always best to confirm the plane’s list of facilities with the operator. Know more about the A340-300’s specifications and schedule for your very own, private flight today. 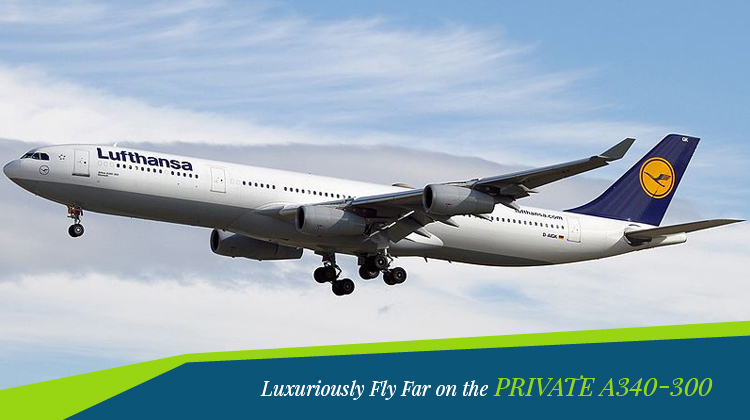 Your luxurious vacation or business trip begins as soon as you climb aboard the exclusive A340-300. This aircraft is complete with the facilities you’ll need to stay well-rested and productive throughout a 10 hour flight. Its galley is more spacious than usual and it’s supplied with the materials needed to prepare you snacks, dishes and drinks. You may even opt to have your personal chef aboard the trip, so you may stick with your health regimen. For your utmost comfort, the A340-300 also has roomy lavatories where you may take a shower so you’ll stay fresh and alert during the trip. The plane has meeting areas with WiFi connection for you to be constantly on top of your projects and transactions. Its communication set up may also be used for you to stay in touch with friends and loved ones, even while you’re flying. Be sure to confirm the facilities of your private A340-300, so you can fully maximize your long haul trip soon. Given its hefty size, the luxurious and private A340-300 allows for you to bring heavier than usual cargo or freights. Thus if you’re traveling for business purposes, you may opt to bring your booth’s paraphernalia to set up shop at a conference. For grand vacations, you can bring the related equipment of your hobbies so you’ll get to enjoy your trip even more. Despite its large size, the A340-300’s speeds can be quite at par with other much smaller planes and with an impressive range to boot. While the plane may have a space equivalent to 330 passenger seats, it can fly farther and faster if its load isn’t maxed out. It’s then necessary to inquire about your operator’s allowable passenger, baggage and freight load, in reference to your intended location. Manufactured by Airbus, the A340-300 had its first flight in 1993 with the A340-200 as its basis of improvement. The A340-300 had a much more powerful thrust and improved engines. It also had the commercial operator, Lufthansa as its first customer. 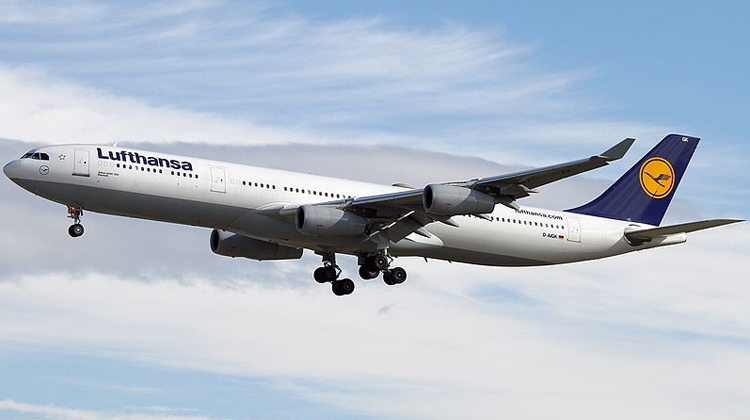 Today, there are about 135 A340-200 units which are being flown all over the world.